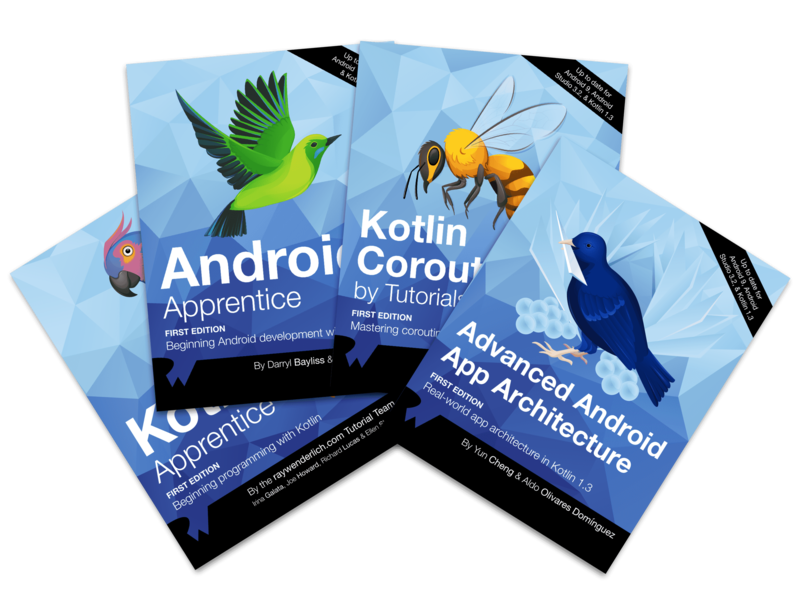 Get started with the best books on Android and Kotlin development: Android Apprentice, Kotlin Apprentice, Kotlin Coroutines, and Android App Architecture! 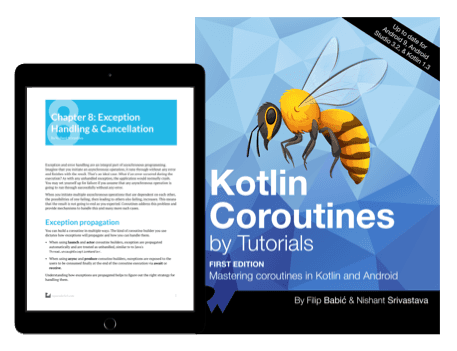 Kotlin Coroutines by Tutorials will give you the tools you need to solve common programming problems using asynchronous programming. The importance of concurrency is discovered quite early on by people who start with Android development. Android is inherently asynchronous and event-driven, with strict requirements as to on which thread certain things can happen. Add to this the often-cumbersome Java callback interfaces, and you will be trapped in spaghetti code pretty quickly (aptly termed as “Callback Hell”). No matter how many coding patterns you use to avoid that, you will have to encounter the state change across multiple threads in one way or the other. In Advanced Android App Architectures, you'll find a diverse and hands-on approach to architecting your apps on Android. Android development can be fun; however, scaling an app can have its fair share of problems. 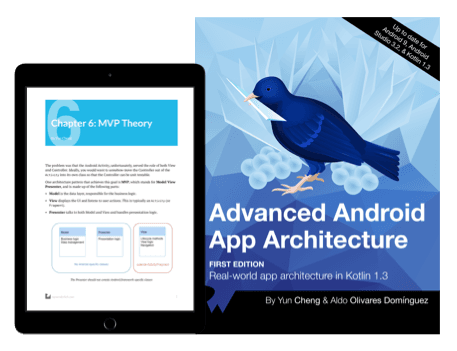 In this book, you'll learn why a conversation on architecture is the first important step to taking your app to the next level! This book will introduce you to a number of architectures, including Model View Controller, Model View Presenter, Model View Intent, Model-View-ViewModel and VIPER. 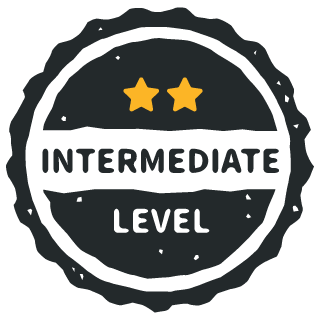 You'll learn theory, explore samples that you will refactor and learn the fundamentals of testing. This is a book for complete beginners to the new, modern Kotlin language. 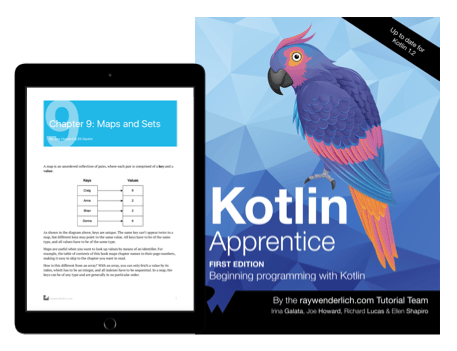 Everything in the book takes place in a clean, modern development environment, which means you can focus on the core features of programming in the Kotlin language, without getting bogged down in the many details of building apps. 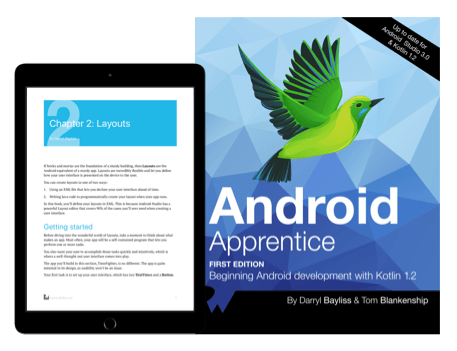 This is a sister book to the Android Apprentice the Android Apprentice focuses on making apps for Android, while the Kotlin Apprentice focuses on the Kotlin language fundamentals. If you’re completely new to Android or developing in Kotlin, this is the book for you. The Android Apprentice takes you all the way from building your first app, to submitting your app for sale. By the end of this book, you’ll be experienced enough to turn your vague ideas into real apps that you can release on the Google Play Store. You’ll build 4 complete apps from scratch — each app is a little more complicated than the previous one. Together, these apps will teach you how to work with the most common controls and APIs used by Android developers around the world.